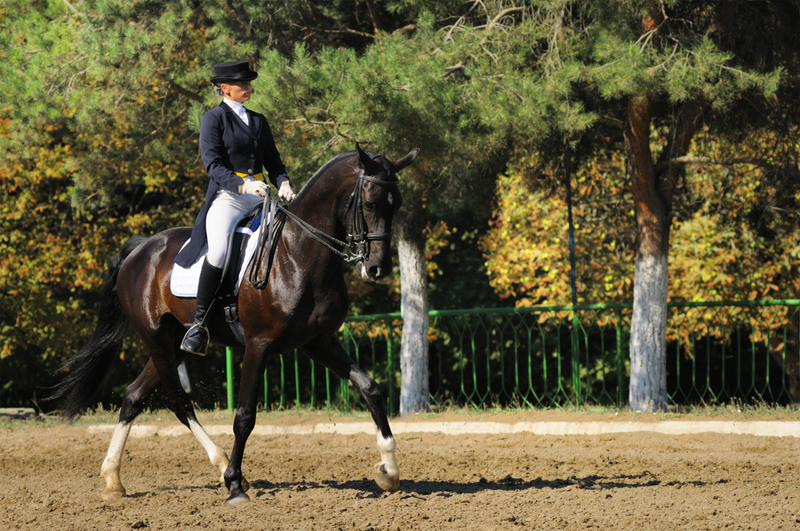 Equestrian disciplines are both demanding and exceptionally rewarding. A supple, balanced and stable responsiveness is necessary from the rider’s body in order to achieve the most harmonious results, and also to prevent the kinds of injuries that riders often present with. Asymmetries and bracing patterns in the rider create headaches for both human and horse. The “core stability” concept can solve some problems but create others. Some riders feel that they are stronger in the saddle, but then sacrifice the mobility needed in their lumbopelvic region to smoothly follow the horse’s motion, if they over “brace” with their abdominals. JEMS teaches dynamic stability as an alternative method of training which allows control throughout a motion and the ability to automatically increase or decrease the amount of stability required. “Shoulders back” is also the cause of many problems – creating tension between the shoulder blades can diminish shock absorption in the spine and increase the movement requirement in the lower back and neck. Suspending the arms from an open chest creates better control with less tension in the spine. Most humans have asymmetries from left to right, but they are really emphasised on a horse. 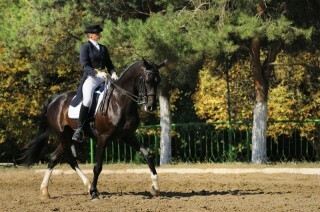 As seen in competitive riders, it is still possible to ride with these imbalances by adjusting the way in which the rider uses the aids, however this is a compensating mechanism, not a solution. So many riders report their strange luck at always riding horses with the same problem, without ever realising that the common factor is their own imbalances. 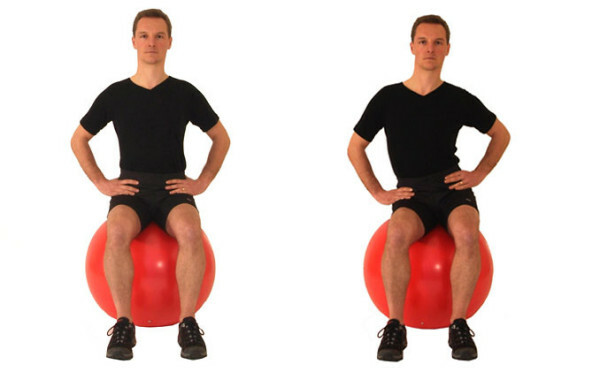 Either sitting on a chair or an exercise ball, begin with both feet flat on the floor with hips, knees and ankles in line. Feel for your sitting bones, with your hands if necessary, and find the position where they are pointing straight to the ground. Now deepen the pressure under one sitting bone, maintaining a soft balance of the body in the centre. Smoothly transition the weight into the opposite sitting bone, keeping the body balanced and upright. Note whether your body is tipping from side to side – this means that you would be unbalanced in the saddle, creating greater pressure inward with one thigh than the other and reducing contact with the other side. The usual response to this problem while riding is amplified hand and leg aids, but the true source of the problem is actually whether you can align your body vertically over each side of the pelvis evenly. Stay tuned for forthcoming resources on physical maintenance for riders from JEMS. For further tips and inspiration on moving beautifully, check out our video page.